Whenever Martin Donnelly is discussed, it's difficult to avoid the accident that ended his top-flight career while qualifying for the 1990 Spanish Grand Prix at Jerez, when the front suspension on his Lotus-Lamborghini failed at more than 140mph. As the affable Northern Irishman admits, it's what he's best known for. But two years earlier, Donnelly came within a whisker of making the Formula 3000 paddock look very silly indeed in a half-season campaign that, 30 years on, stands as a timely reminder of what Formula 1 missed. Making an instant impression when joining a championship late in the season is the mark of a driver who can rapidly adapt to new conditions - car, team, circuits and new rivals to boot. But despite contesting just five races with Eddie Jordan Racing, Donnelly ended the year third in the standings, with two victories and a brace of seconds. 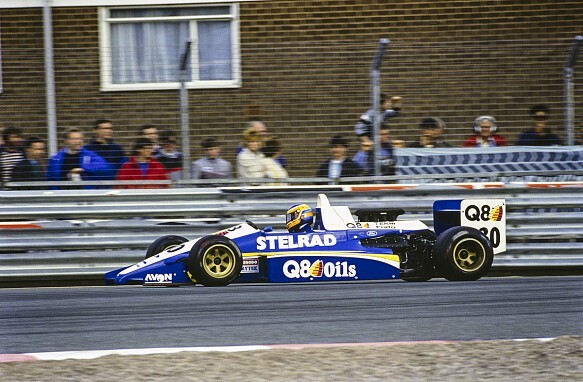 Had it not been for a gearbox failure while leading from pole at Zolder, he would have finished three points behind eventual champion Roberto Moreno, running a Bromley Reynard engineered by Autosport technical consultant Gary Anderson. Now 54, Donnelly looks back with satisfaction on a year that had threatened to become a story of underachievement in his third season of British Formula 3 and ended with a Team Lotus testing contract in his back pocket. "I was just riding a wave," says Donnelly, now an instructor at the Lotus Driving Academy. "When you consider that the guys we were up against were quick guys in their second or third year, I just got into a very unusual and fortuitous situation where the team had a competitive car. It was never easy. "That was a massive gamble because it could have gone pear-shaped and not been competitive, not getting in the top six. But you've got to grab every opportunity with both hands and if you put time in and get the job done, you will win respect. "I was a bit cheeky coming forward as well - if you don't ask, you don't get." Third as an F3 rookie in 1986 behind second-year men Andy Wallace and Maurizio Sandro Sala with Swallow Racing, Donnelly was offered a free drive by Eddie Jordan for '87, but turned it down due to concerns over the competitiveness of the Speiss Volkswagen engine. 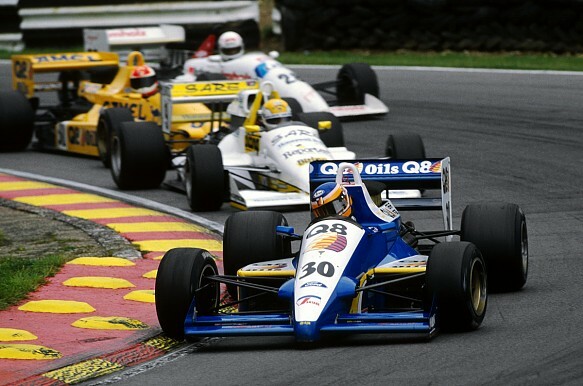 But while Johnny Herbert took the vacant seat and waltzed to the title, Donnelly suffered as Swallow struggled to coax speed from its new Reynard and only hit form after joining Glenn Waters's Intersport squad, winning twice to end the year third once more. Victory in the Macau Grand Prix and an impressive run on his first experience of F3000 in the Marlboro selection test at Donington confirmed Donnelly as a talent to watch, so he was disappointed to be back in F3 for a third year in 1988. His Intersport Ralt-Toyota lagged 21 points behind JJ Lehto's Pacific Reynard when Jordan came calling at Snetterton in August, after crash-prone Thomas Danielsson's licence had been temporarily revoked amid concerns over his eyesight. "EJ quoted me £30,000 to do the last five races with a bit of testing," Donnelly says. "If he had come when I was leading the championship, I still would have gone because what was [F3] going to do for me? I had proved I could win races - here was a chance to take the next step of the ladder. 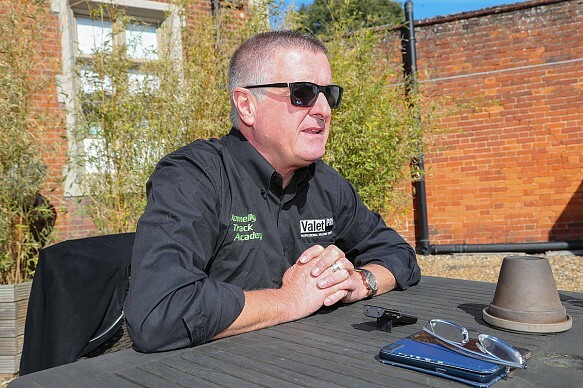 "I had a contract with Cellnet, so I went grovelling to [sales and marketing director] Peter Waller and left having got his permission; there was no animosity at all. I went straight from there to meet [Jordan's legal man] Fred Rodgers to sign this contract and more or less everything EJ had said was in there. "But underneath the contract was another piece of paper, the Sports EJ contract. It meant EJ was going to manage my career and would take 15% of everything that I earned. At the time I wasn't earning big money, so I signed." A messy divorce with Intersport backer Cellnet followed. 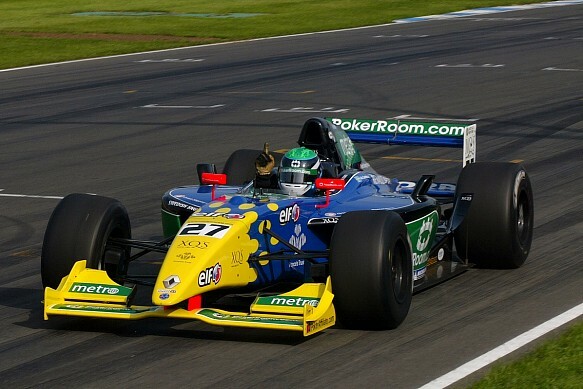 Donnelly's verbal approval from Waller to pursue the F3000 dream was retracted when F3 team-mate Damon Hill also sought to be released from his contract to pursue the EJR seat, but Jordan got his man and Donnelly lined up for his debut at round seven, Brands Hatch, paired with engineer Paul Crosby. Crosby's drivers include Nigel Mansell, Jean Alesi, Allan McNish, David Coulthard and Gil de Ferran, but he rates Donnelly "in the top three or four of all the drivers I've ever worked with". He was instantly taken by Donnelly's ability to get quickly on the pace in a pre-event test at Oulton Park, which he followed up by qualifying two tenths off poleman and new EJR team-mate Herbert on the outside of the front row. "It was a two-way thing. He said that the 88D was the best-balanced car he'd ever driven, and he was one of the easiest drivers I ever worked with, so you put those two together and you get some fantastic results," remembers Crosby. "I knew a bit about Martin when he joined and he'd got some good results in F3. The first test we did, it didn't take him any time to get up to speed - he was on it straight away. "The Reynard was certainly better than the March, which had just had its day; it was aerodynamically superior to the others at that stage and was easier to drive. But you've still got to drive it and get the best from it - that's not easy." For his part, Donnelly enjoyed the extra power and grip of the F3000 Reynard, which allowed him to be more expressive than in F3. "In F3 with a smaller airbox, you have less power, it was all about carrying momentum," he says. "Although I was quick and won a lot of races in F3, I felt you couldn't really contribute to that as a driver. With more horsepower, you can make more of a difference - it was a challenge and you kept pushing yourself harder and harder." The events of Brands 1988 are well-known, as Herbert suffered terrible injuries to his ankles and feet in a multi-car pile-up that ruled him out for the rest of the season. But what is often forgotten is that Donnelly escaped the mayhem by acing the second start - Moreno's accident at Paddock Hill Bend having brought out the first red flags - and controlled the field on the third start to claim a win on his debut. Out of respect for Herbert, he didn't open the champagne. Without a team-mate for his Birmingham Superprix debut one week later, Donnelly qualified seventh and came through to second behind Moreno in another eventful race that required three attempts at starting. Crosby reckoned under the circumstances that it was even better than his performance to qualify on the front row at Brands. "Martin took it all in his stride, that's the amazing thing," says Crosby. "He was very laid back - he didn't seem to suffer from any pressures that were around." Donnelly's cool demeanour was remarkable given that the pressure on him was not just that of a rookie finding his feet. Jordan was anxious to be paid the agreed sum and Donnelly had no way of meeting it, as mentor and benefactor Frank Nolan had died in 1986 without leaving a will. 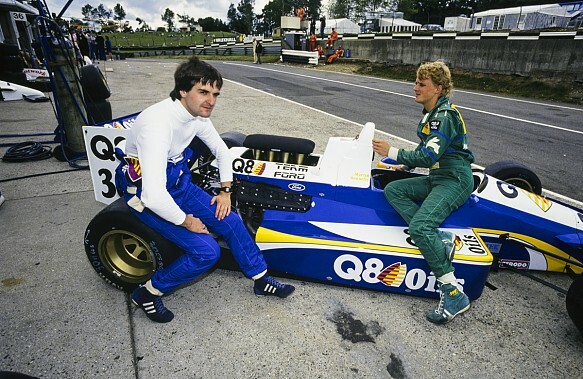 Donnelly had bet the farm on making a success of F3000 - if he failed and Jordan pulled the seat, the strained relationship with Cellnet meant there would be no fallback in F3. "There was pressure to perform because I was putting it on the line, EJ was down my neck big-time looking for money," says Donnelly. "If EJ said, 'You're three grand behind payments, I've got a driver going to pay 40 grand for the next three races', what are you going to do? "There's no 3000 drive, no Cellnet drive, because Peter Kox was filling my boots. It was a massive risk, like playing the bluff at poker - how soon should you fold your hand? 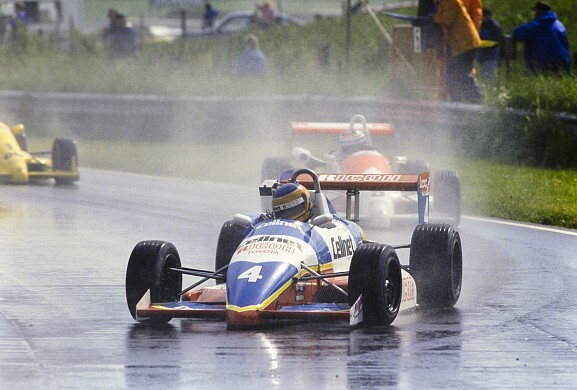 "After Brands Hatch and Birmingham, EJ realised the money wasn't coming through, so he did a deal whereby I drove Richard Lloyd's Porsche 962 at Spa and did a few trips over to Japan [in F3000]; that way EJ got his money back." Donnelly's red-hot form continued on his first visit to Le Mans, following home hero Olivier Grouillard to claim another second place, before stones on the road at Zolder caused him to skate off into the gravel. Although he got out again, the gearbox was beyond help - but Donnelly made up for it by winning the season finale at Dijon after Moreno's engine gave up. The best that Herbert's replacement Paolo Barilla - a third-year category veteran - could muster was seventh at Dijon. "Thankfully, those two drives in 1988 at Brands Hatch and Birmingham carried me through for the last five races," says Donnelly. "Four months later from when we were negotiating at Snetterton, EJ's offering me 50 grand to drive for him [in 1989]. It's funny how things just turn so quickly." 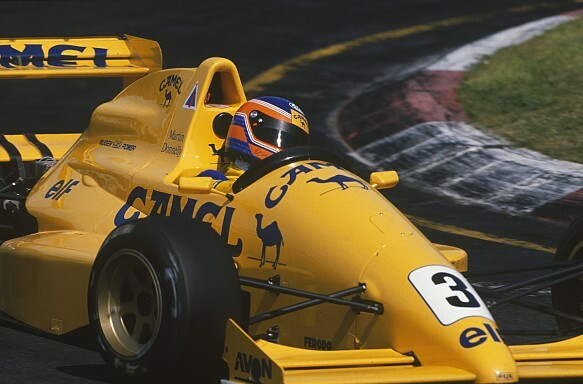 After switching from Crosby to Trevor Foster, with whom he had worked at Swallow in F3, Donnelly had a disappointing 1989. Another victory at Brands aside, he only scored once more with third in Birmingham, as Crosby engineered new EJR team-mate Alesi to three wins and the title. 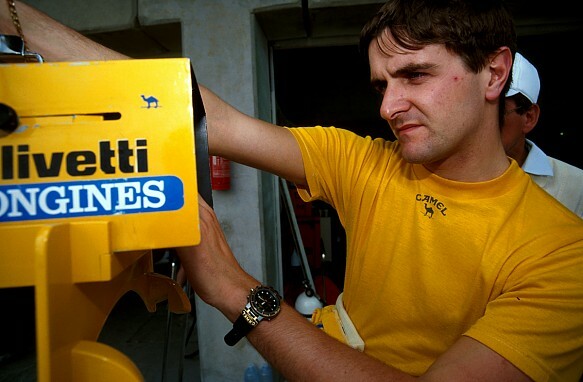 The die was cast when Donnelly was disqualified from victory in round two at Vallelunga after it was discovered his new nosecone had not been crash-tested. Having already suffered a Mugen engine failure at Silverstone, he then crashed while chasing Alesi at Pau, had two punctures at Jerez and tangled with Alesi at the first corner at Enna-Pergusa, arriving at Brands with no points once again. Still, his name was hot property. Donnelly had made his F1 debut at Paul Ricard for Arrows subbing for the injured Derek Warwick ("If EJ was doing his job right, he should be on the phone to Jackie Oliver for Jean Alesi - French Grand Prix, French driver - but he didn't") having two weeks earlier been dubbed the 'next Mansell' on the cover of Autosport following a strong test showing for Lotus. Had Jordan instead pushed Alesi on Arrows and Donnelly landed the Tyrrell seat that became vacant shortly afterwards - and which formed the launchpad for Alesi's F1 career - the story might have been very different. But Donnelly can always look back on that remarkable 1988 half-season as the time he showed his ability on the international scene. Yer man's ultimate gamble had paid off. 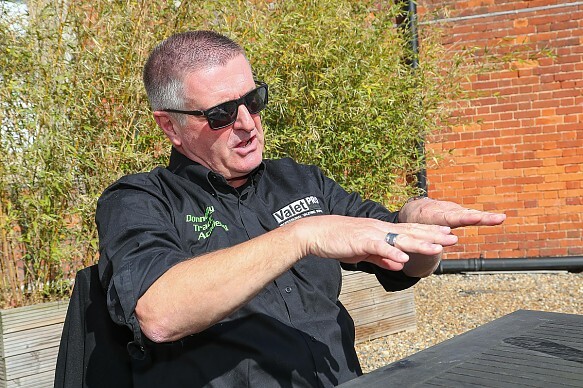 When it became clear after a trip to Willi Dungl's clinic that nothing more could be done for his legs, Martin Donnelly started his own team, which became a regular on the UK junior-formula scene in the 1990s with future iSport man Gavin Jones at the helm. Today, Donnelly rates ex-Jaguar and Prost F1 driver Luciano Burti as the best - "by miles" - of his Martin Donnelly Racing alumni, who also cover BTCC champion Jason Plato, DTM race winner Peter Dumbreck and future Champ Car racer Mario Haberfeld, winner of the British Grand Prix-supporting Formula 3 race with MDR in 1997. "He had a feel for a car that you couldn't believe," Donnelly says of Burti. "He was a good kid, quick, he deserved to get to F1." But it was after MDR wound down and Donnelly linked up with Comtec's Jonathan Lewis that the greatest success of his managerial career arrived, guiding Alx Danielsson to an unlikely title in the 2006 Formula Renault 3.5 series. Having managed no better than fourth in the first half of the season, Comtec was on the brink of going under after losing two tubs at Spa - the first when Danielsson was caught in the crosshairs of a major accident for Sebastian Vettel at Eau Rouge, the second when a tyre deflated suddenly at Blanchimont. But after building up a third new tub, a small change in style turned Danielsson into an unstoppable force reminiscent of Donnelly's breakout year in 1988, winning four of the last six races and prompting jibes from rival teams. "People thought, 'They're cheating, they're doing something different', but it was him just thinking because he had new tyres on that he could move his braking point five or 10 metres down the track," says Donnelly. "He wasn't in control of getting the car stopped on the apex and was slower on the gas getting out. Once he realised that, the next three races he was on pole."